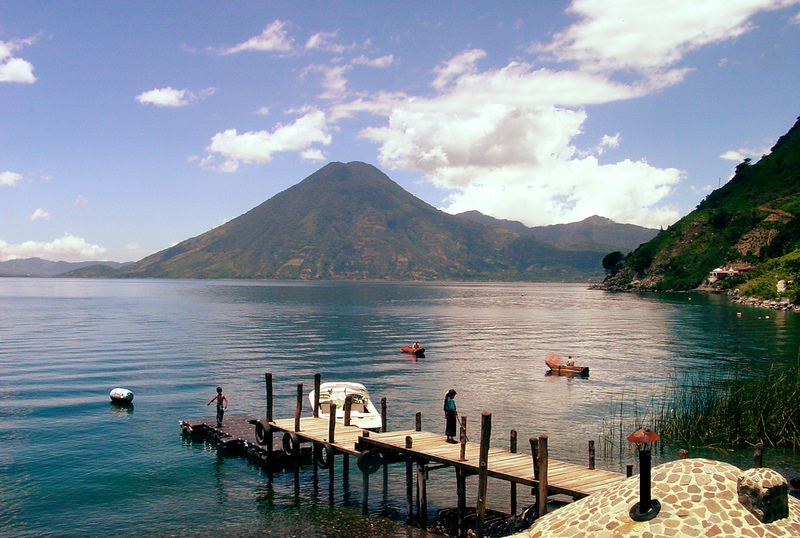 A short distance from Antigua, Guatemala, lies Lake Atitlan (known locally as Lago de Atitlán). 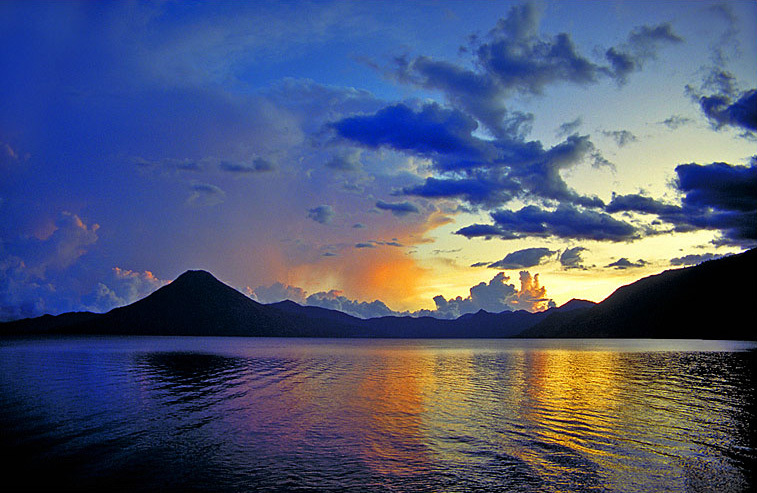 The large lake is surrounded by three volcanoes: Volcán Atitlán, Volcán San Pedro and Volcán Tolimán. 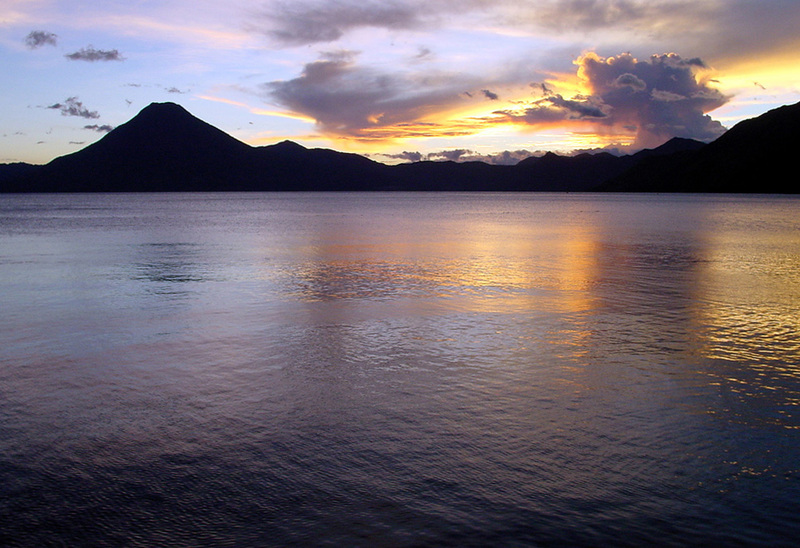 Lake Atitlan is an endorheic lake, meaning it doesn’t flow into a sea. 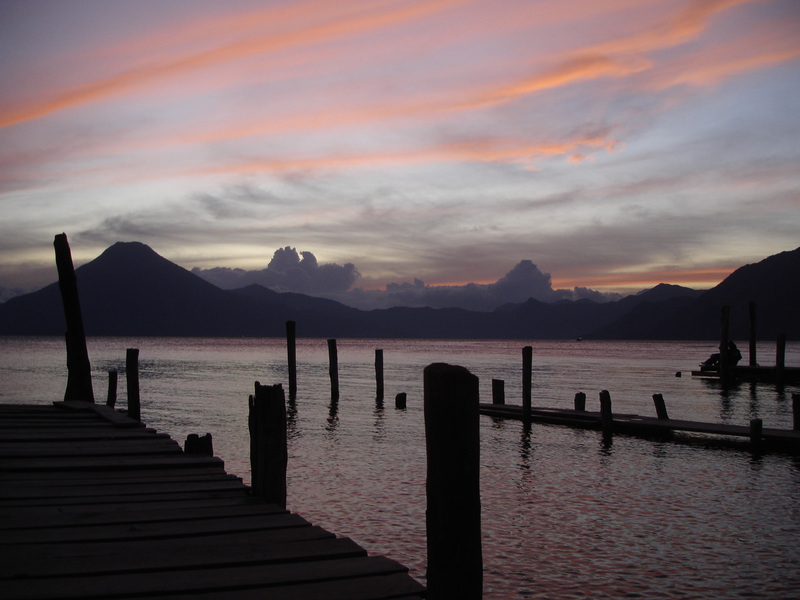 The area surrounding Lake Atitlan is home to many small villages, the people of which practice Mayan culture and wear traditional Mayan dress to this day. There are also a number of Mayan archeological sites in and around the lake. 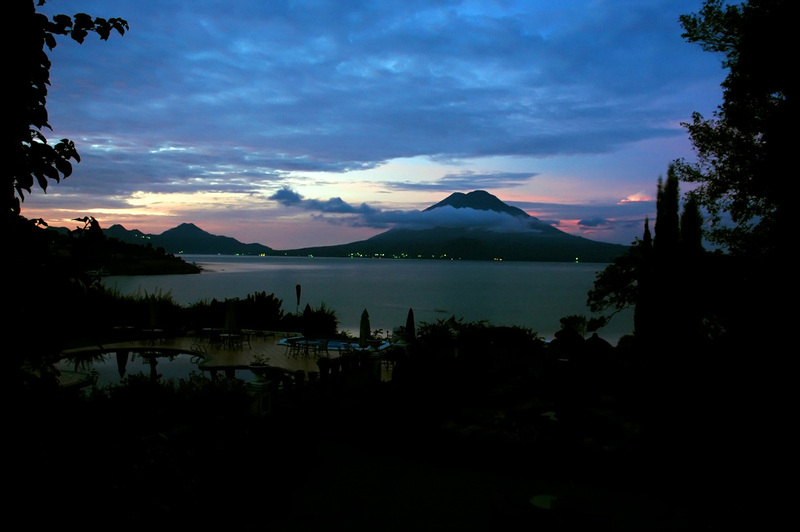 For tourists, the best places to stay are in Antigua, or the town of Panajachel which is on the lake’s shore. A variety of accommodations can be found in either town. 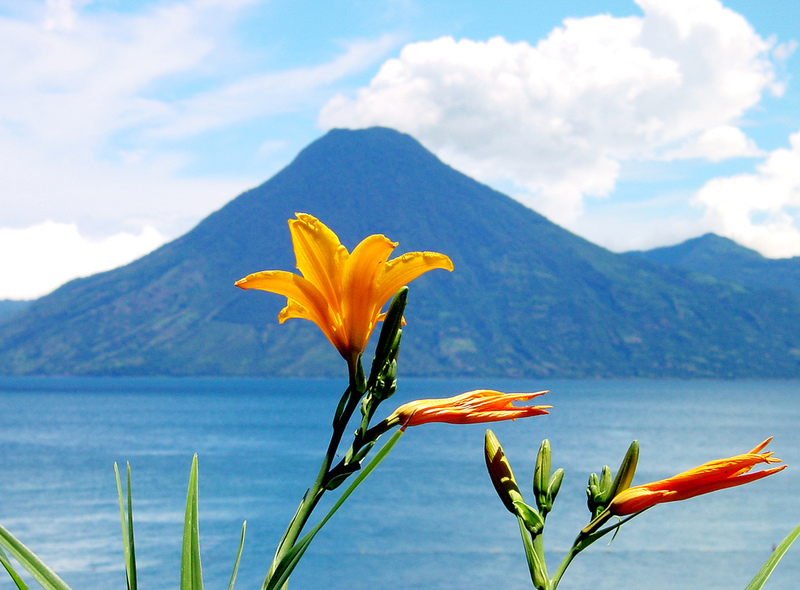 Visitors can trek up the volcanoes, enjoy a boat trip on the lake, and visit the nearby Atitlan Butterfly Sanctuary. Great Pics. I especially love the one of the volcano taken at dusk. You should write about your trip in a blog! Its an incredibly beautiful place. But its massively at risk and needs urgent attention or its beauty will be lost forever. It’s located in one of the poorest regions of the country, and tourism has become quite an important source of income for many people there. If the lake’s beauty is lost, so will the tourist industry. water doesn’t flow out of the lake, it only evaporates, so the lake is never “flushed clean”. this causes toxins to build up and recently its become completely toxic. This is not immediately or easily reversible (and possibly not reversible at all). We were there about 3 years ago and swam in the lake, but you can’t any more. You’d get a rash and be very sick. The harsh chemical fertilisers used by the peasant farmers to grow their maize on the poor soil of the deforrested hills surrounding the lakes, flows into the lake and causes algal blooms which has caused a greeny slime to fill the lake, which strips the lake of oxygen, killing fish and other organisms. In recent years the deforrestation and heavy rainfall contributed towards a massive landslide which wiped out one of those small villages. Its a beautiful place to visit but might not be for long – this would be a real loss, it was one of the real highlights of my trip to central america. I was really thinking of moving there when I retired, next year. It is not a good place? Honestly help me out.